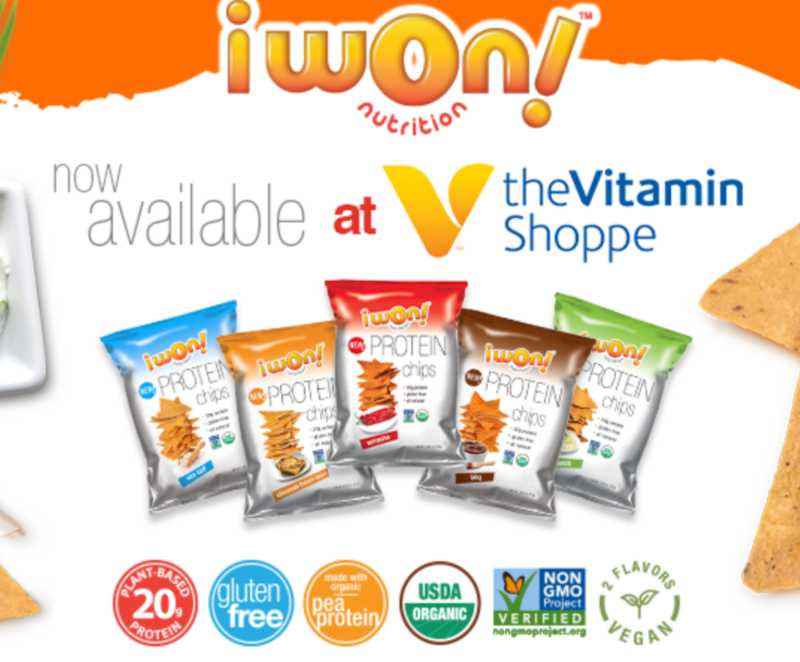 Free Bag of iwon! Protein Potato Chips!! Fill out the short form HERE and iwon! will ship you a FREE bag of protein potato chips! Fill out the short form HERE to get FREE samples of Emergen-C vitamin supplement drink mix. One sample per email address or household. 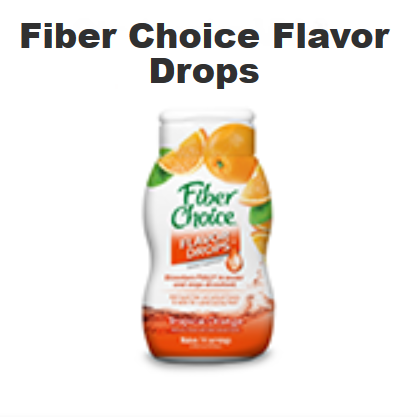 Free Fiber Choice Flavor Drops!! Take the short survey HERE to qualify for a FREE sample of Fiber Choice Flavor Drops! Add flavorful fiber while you hydrate and help improve your digestive health and try the very first concentrated liquid fiber product available. Flavor Drops™ help make consuming water and fiber on a daily basis tasty and easy. Your sample will arrive in 3-5 weeks. Must be 18 or older. 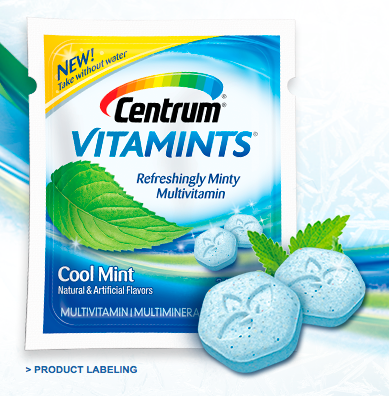 Introducing a new refreshing take on vitamins- Centrum Vitamints! A multivitamin that contains essential nutrients that you enjoy like a mint. Try them for FREE HERE before they hit stores this fall! Offer limited to one request per household – which will include 2 samples. 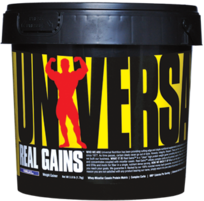 Free Real Gains Nutrition Supplement Sample!! You have to be 18 or older for this sample. But follow this link and you can get yourself a FREE sample of Shock Therapy or Real Gains nutrition powder to help with your workouts! Free Calcet Creamy Bites Calcium Supplement!! Fill out the short form HERE to get a FREE sample of Calcet Calcium Creamy Bites! Calcet calcium supplements are available in flavors such as Chocolate Fudge & Lemon Cream. 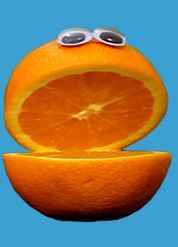 They are absolutely delicious and nutritious down to the very last bite! Free Nature’s Bounty Hair, Skin & Nail Gummies!! 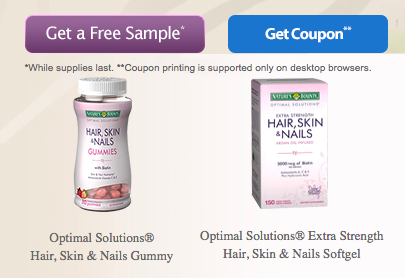 Fill out the short form HERE to get a FREE sample of Nature’s Bounty Hair, Skin & Nail Gummies! Offer limited to one per household. Please allow 4-6 weeks for delivery. Free AI Sports Nutrition Sample Pack!! Fill out the short form HERE to request a FREE sample pack from AI Nutrition! Samples include: Lemon or Raspberry Recover Pro (1 flavor) 3Z, HGHPro, Perform and a Turbo Stix (1 flavor of Turbo Stix) & Magic Matcha Sample (1 flavor). One request per household. USA only. Valid for new sample requests only. Please allow 6-8 weeks for delivery. 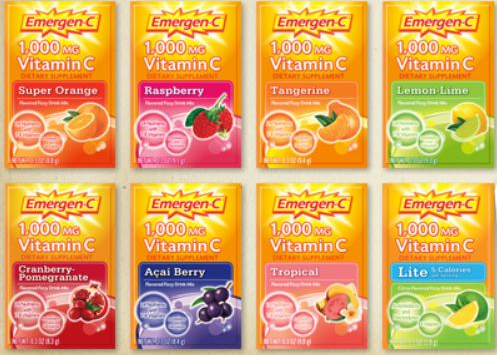 Fill out the short form HERE to get FREE samples of Emergen-C vitamin supplement drink mix.